Relive the days when steamboats ruled the river on this one-hour cruise along St. Louis’ diverse riverfront. 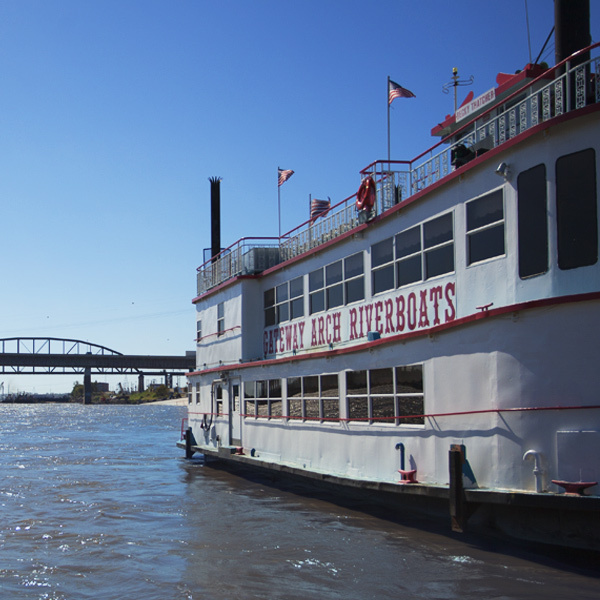 Narrated by the captain or a National Park Service ranger, this cruise highlights the Mississippi River’s important role in St. Louis history and the significance of the working river today. Concessions available on board. 2018 Schedule: Cruises run daily, March through November. Cruise times vary. A ranger from the National Park Service joins the cruise to explain how the river affects and benefits the surrounding city.